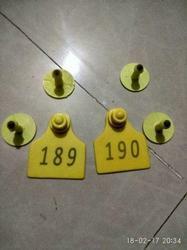 We have marked a dynamic position in the market by providing the finest quality range of Cattle Ear Tags. - Substrates :- TPU. ( Other materials on request ). - Operating Temp :- -20°C + 100°C. 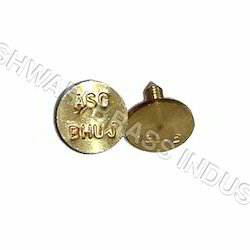 We are prompt manufacturer, supplier and service provider of RFID Ear Tags, which are made by keeping in mind all specific requirements of users. These tags are widely applied in various tagging purposes. Available in variety of patterns and specifications, these tags are known for its long lasting services and reliability. We are a unique name in the industry to provide our prestigious clients an exclusive range of Cow Ear Tag. Animal identification using a means of marking is a process done to identify and track specific animals. It is done for a variety of reasons including verification of ownership, bio security control, and tracking for research or agricultural purposes.